Set in the last years of the Qin Dynasty in China, 2,200 years ago, a real historical setting with a number of characters who actually lived at the time. The game balances team fighting, with up to five heroes per team, with various strategies and tactics. Various enemies in more than 100 unique scenes accurately depicting society and architecture will challenge you, as it existed at the time. 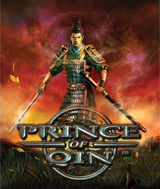 The game´s novel features include multi-scenario and multi-ending systems, randomly created weapons, items and enemies, an equipment creating system and a sophisticated fighting system rooted in the ancient philosophy of the Five Elements. The Great Wall of China and the Terracotta Warriors Tomb are some of the world-renowned locations the game highlights..